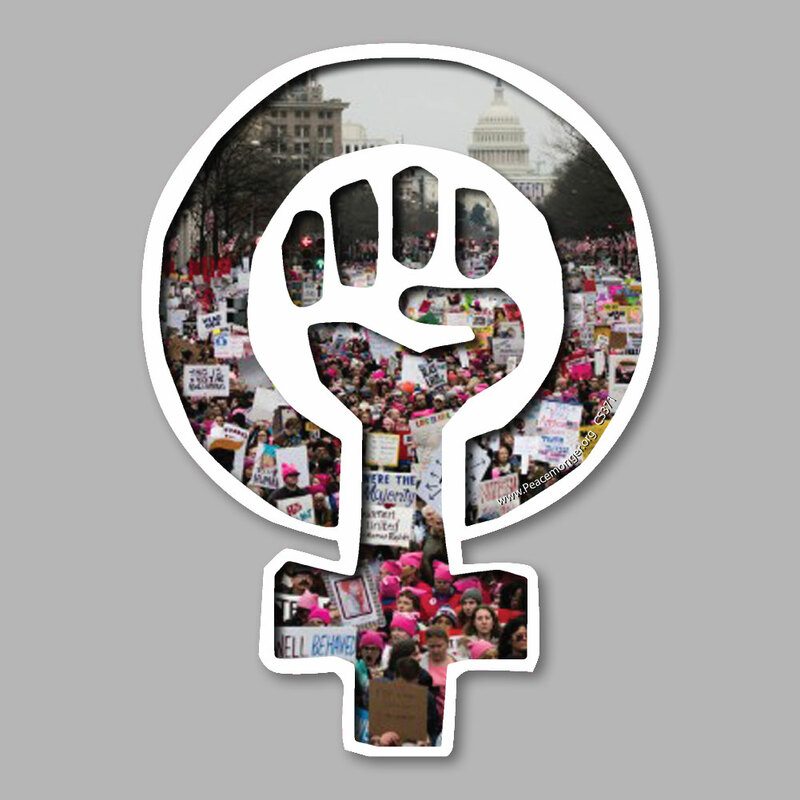 The female symbol with a fist in the circle has been used as a feminist icon for woman power since the 1960's. 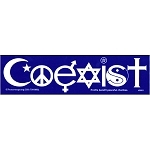 Peacemonger designed this version with a black and white outline to contrast tinted windows or other smooth dark surface. 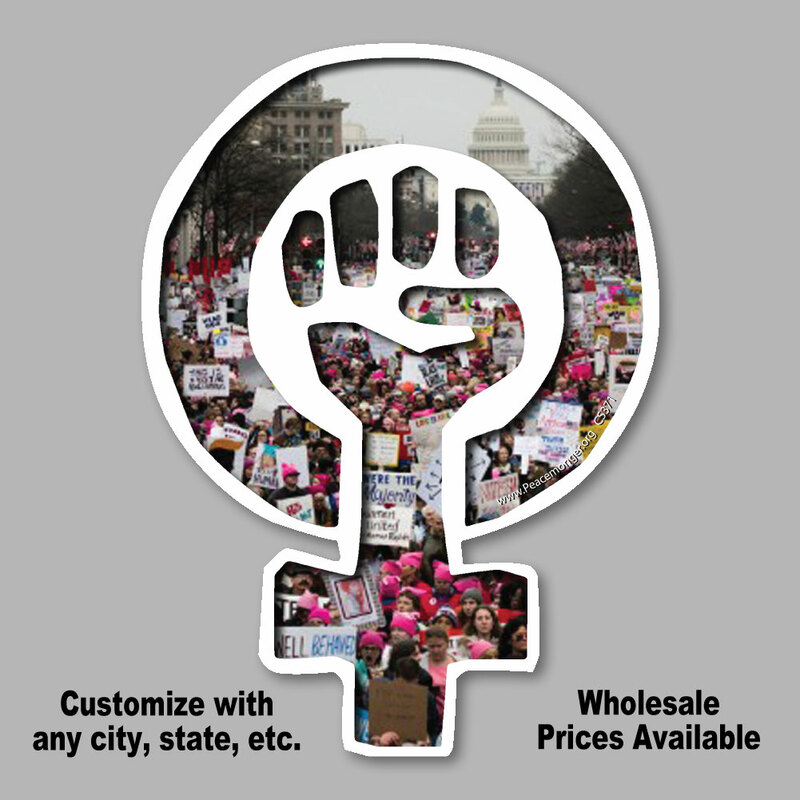 Inside the symbol is a photograph from the 2009 Women's March in Washington DC featuring the Capitol building and 3 million people protesting the new administration and it's attitude toward sexism and mysoginy. 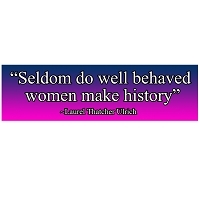 Please stay in touch with the Women's March organization and show up at the rallies and protests: www.WomensMarch.com. Purchase as a magnet or on our static cling material for dynamic application options.